Yeah! – My new Manfrotto tripod and Midi-Ball Head just came in! This is the Prize, I won last month, in the Landscape Photography Magazine.com and Manfrotto contest. With that being said, I thought I would write about my first tripod upgrade in over 30 years. I do have a Slik 450G for emergency/travel and a Bogen mono-pod, but they mostly sit around these days. I had bought my Bogen (#3020), when I was about 18 years old, while working as a Freelance Photography Assistant/Apprentice in the Philadelphia area. At the time, I got to work with many different setups, and knew what I wanted, but just could not justify the costs. I did know, that what every tripod I bought, I wanted it to last. And my Bogen has lasted. So far, the ONLY thing that has broken on it, is the stitching on one of the loops for the carrying strap! It “broke” on me while out on a nature walk, and I just took the remaining strap, and tied a half-hitch back on the D-ring, and have been using it ever since, well over a year ago. Easily, my Bogen is one of the best purchases in my life! My Bogen was also there when I took the winning photograph. After a few coordinating emails between LandscapePhotographyMagazine.com, Manfrotto and I, the box arrived late last Friday afternoon. I was very surprised to have it arrive so quickly, and very eager to see what 30 years tripods was like! At first, I was concerned because there was only one box. I was expecting two, tripod and head, but was pleased to find the head included in the main box. When I removed the tripod from the box, it did “feel” lighter then my Bogen, but the head was still not on. The next thing I did, was to extend the legs, and as I did, they seemed smoother and quieter then my Bogen, but this could that be due to age, or is it, aluminium vs. carbon fiber? Opening the small box with the ball-head, was very exciting for me, because I always wanted one, and now I had one! There had been numerous times, over the years, where the three twisting arms of my Bogen head, made it much more difficult to setup for a shot, whereas a ball head was going to be a joy! Finding, Ordering and Receiving these two items took considerably much longer then expected, and is still needing to be resolved, as I ponder the subject for a new post. While waiting for the tripod accessories, I decided to try the tripod in my little studio doing some shots that I had been contemplating for some time now. In setting up given shots, it was funny to note my ingrained movements towards the knobs of my old tripod as I made final adjustments. For all intensive purposes, I went from three knobs, down to one. During the course of the day, I managed to set up and photograph, several scenes with the new ball head, and finally into Lightroom for basic review. It was in Lightroom, where I began to notice subtle shifts in my bracketed exposure sequences due to movement between exposures. When taking an exposure, I normally use the cameras onboard interface, to change the settings, then use my remote trigger for the actual exposure. 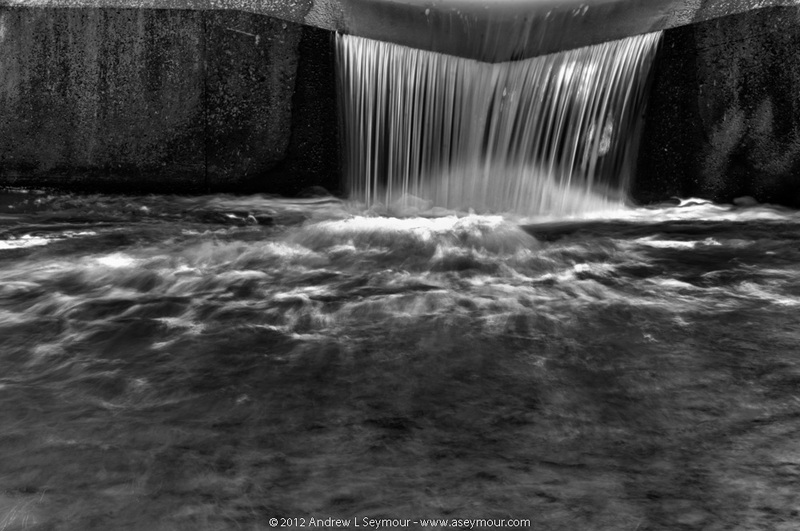 This is of importance to me, since I do a lot of HDR work, and it is critical for the various exposures to be aligned. With my Bogen, these physical exposure adjustments on the camera, were not nearly as bad as what I was witnessing with the new Manfrotto. At the moment, I’m just going to make myself mentally aware of being more careful when making the adjustments, or rely on AEB more often. Finally, I got the tripod strap and quick release systems! I was rather impressed when I first opened up the tripod strap. There is a rather large padded sleeve that fits over the actual strap, and I could easily see where this might be very comfortable after a long day of carrying the tripod. I also like the idea of having a quick release on the strap where one would connect it to the three legs. 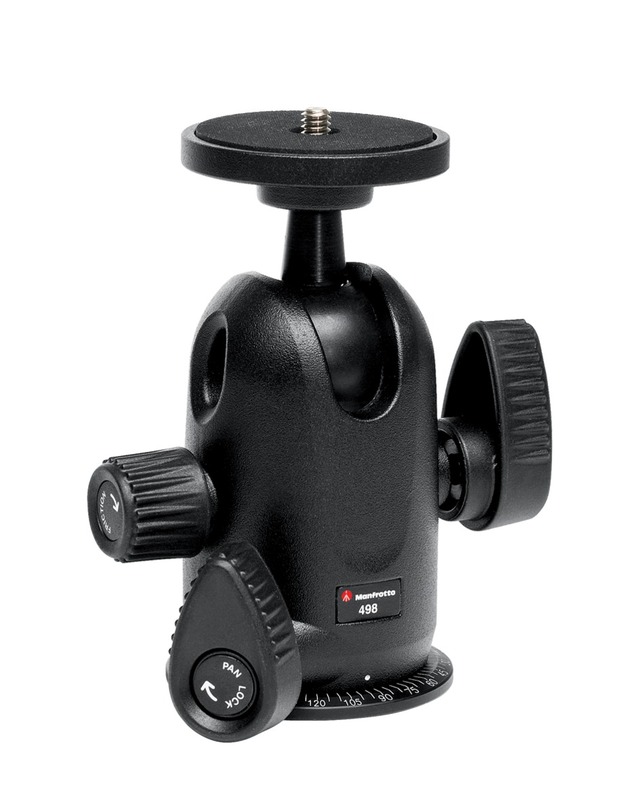 I also installed the quick release system on the tripod and camera, and smacked my head on why I had not bought one of these before, but at the same time, knowing that I just had had movement issues in the studio, I also now had to consider this. Be that as it may, I went off for a walk to test my new toys in the field! Generally, when I start one of my walks, I have not attached the camera to the tripod yet, and swing both of them over my left shoulder, and start on, allowing me to freehold the camera if I see something of interest. As I walked, the first thing that I noticed, was how completely different this tripod felt on my shoulder. Gone was the feeling of the knob arms hitting you like blunted porcupine quills as you walked and moved through the woods, but at the same time, I still need to figure out the best way to attach the strap and cushioned padding. It feels weird, but once again, time will tell. Once again, I want to thank both LandscapePhotographyMagazine.com and Manfrotto for this opportunity, and I look forward to years of great use! That being said, it is far too early to make a definitive conclusion about the two tripods. Manfrotto does feel lighter in weight, but I have NOT actually done a side-by-side, and the carrying strap needs some fine tuning in the field. Right now I’m still in the honeymoon stage with my Manfrotto, and with any good marriage it takes time… 30+ years is hard to break. But some questions linger… Am I cheating on my Bogen? Will Bogen get relegated to the studio, while Manfrotto journeys forth? In checking my Flickr account today, I was greeted with the announcement, that the folks over at Triggertrap, had selected one of my images for a “Best of Super Long Exposure” award for 2012! For a contrast in scenery, check out this comparison of the same place, but within days of hurricane Sandy. Needless to say, I am very honored to receive this recognition, and thank the folks at Triggertrap for a great product! Photo and Photostream for the month of November. 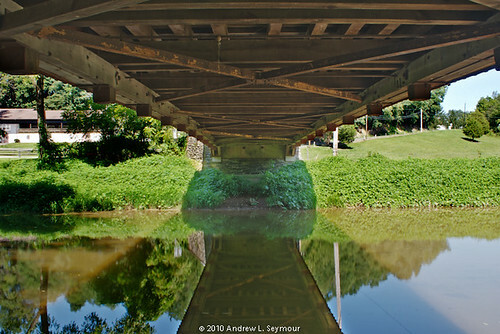 Andrew, I am happy to inform you that your Photostream and photo of Glen Hope Covered Bridge will be featured in our Group for the month of November. The photo is really beautiful and we do appreciate you posting it with us. Again, I am deeply HONORED by this, and many thanks to all my visitors, contacts and friends!! This images was selected for the “Friday Foto” on the VisitPA’s Facebook page!